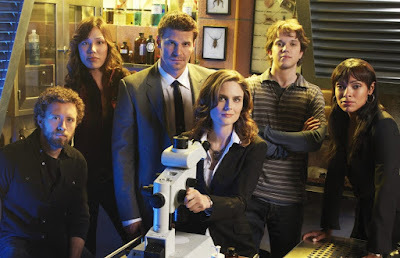 The camaraderie on BONES reminds me of all the friendships, family bonds, and other special connections that television characters have with each other. Read on and tell us which relationships on TV makes you feel all warm and fuzzy! I recently started watching BONES, and it has become my latest addiction. It puts a lot of crime shows to shame, with its forensics, the gripping storytelling of complex, high-profile cases involving twisted murderers and serial killers. But what appeals to me most about it is how some of the cases involve the characters at a personal level, throwing them into predicaments, with the others coming to their rescue. Two seasons into the show and what I’m loving the most is the camaraderie between Bones, Booth, Angela, Hodgins, Zack and Cam. The strange and spark-filled friendship that Bones shares with Booth is one of the better relationships written for the screen. The romance between Angela and Hodgins grew in such a beautiful manner. Booth and Zack have an unspoken, unexpressed, yet sweet bond, and Bones and Angela have an unconventional ‘best-friendship’. I love the boss-and-subordinate relationship between Bones and her team and now Cam and the team. When it came to Bones being suspended for fighting a case that was not in favour of the FBI, or Bones finding out about her mother’s death, or Hodgins and Bones being buried alive in a car, or Cam joining the team when Bones and she had some friction going on, or when Zack was trying to get his doctorate and get a permanent position at the Jeffersonian, everyone stuck by their side, coming through for each other in a way that I think a lot of people can learn from. It reminds me of all the other shows that I watch and I realize that this is probably the one element I enjoy most in television. Take the residents on Wisteria Lane in DESPERATE HOUSEWIVES for example. Right from the beginning, when Mary-Alice shot herself, to Lynette’s cancer, to Bree’s drinking problem, up until the most recent disaster episode when Lynette literally comes to Lee’s rescue, even though he and Bob had mistakenly betrayed all the residents, the show has had these warm moments all along that’s made it special for me. One moment I remember distinctly is the climax of S4, when Katherine needed to be protected from the police after shooting her ex-husband. Bree just had to tell the rest of the ladies that Katherine needed a cover story, and without asking questions or batting an eyelid, Susan, Lynette and Gaby put together that cover story and saved Katherine. We all know that the doctors of Seattle Grace-Mercy West Hospital have had their share of disaster and depression. 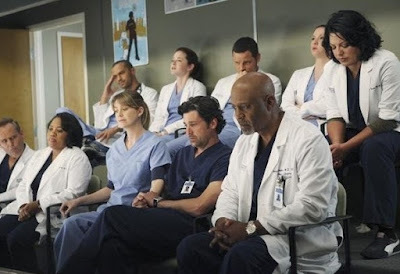 From the beginning of GREY’S ANATOMY, when Dr Bailey went from being the Nazi to being mama bear to her five interns, to S2, when everyone was there for Izzie when Denny died, to Izzie’s cancer and George’s death, to the aftermath of the S6 shootout, when all the doctors began to rely on each other in ways they never thought they would, Shonda Rhimes knows how to portray camaraderie better than many other writers. She created one of the simplest and sweetest expressions one could use to describe your best friend—‘your person’. Meredith and Christina are each other’s ‘persons’, just as Izzie and George were each other’s ‘persons’. The cops on DEXTER have a strange bond too. Whether it’s Angel Batista treating Deb as his younger sister, or Dexter helping Finn get exempted from being a murder suspect, or everyone coming through for Dexter when Rita died, saying she was family, DEXTER’s quite out there with its share of camaraderie. GOSSIP GIRL’s Upper Eastsiders, Serena, Blair, Nate and Chuck always come through for each other when any of them are in need, and god help someone if they’re from Brooklyn and plotting against S or B! 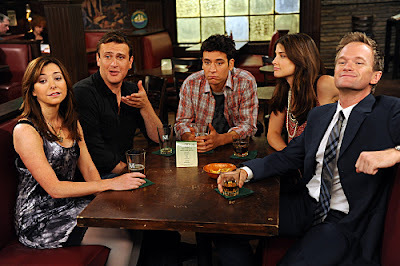 And everyone may always give Robin a hard time for being Canadian, or Barney for being such a man-whore, but the HOW I MET YOUR MOTHER five-some, always stick together just as snugly as their booth in McLaren’s keeps them tight. And while the weird households of MODERN FAMILY endearingly come together for an annual family photo, arranged by Claire Dunphy, and our favorite dysfunctional BROTHERS AND SISTERS, with mother Nora Walker stick together through thick and thin, Adam Braverman and his siblings are always there for each other when it comes to PARENTHOOD and everything else! So there it is! The list is endless, but my point is, watching such stuff makes television so much nicer! Which on-screen relationships make it nicer for you? Pushing Daisies! Ned and Chuck..despite all the dead folks, that show just makes me happy. @Eeek Don't know anything about Pushing Daisies... But thanks for commenting... BTW, I found your view on TV, as expressed last night, very interesting. @Letmebe I agree with all of your choices, but I can't really identify with any relationship on Glee. Everything seems so temporary and superficial. The writers are way too random and trivial, and the show is losing all the credibility it built in S1. @wildcherry28 I love Meredith & Christina's friendship, the dark and twisty sisters! :) Booth and Bones are supercool as friends! I like Dan and Nate. They've grown as friends ever since Nate was going through money problems and was living like a refugee in his own home, when Dan invited him over. The HIMYM gang's dynamic is what everyone wants to have with their own friend-circle, after the Friends' gang, obviously!